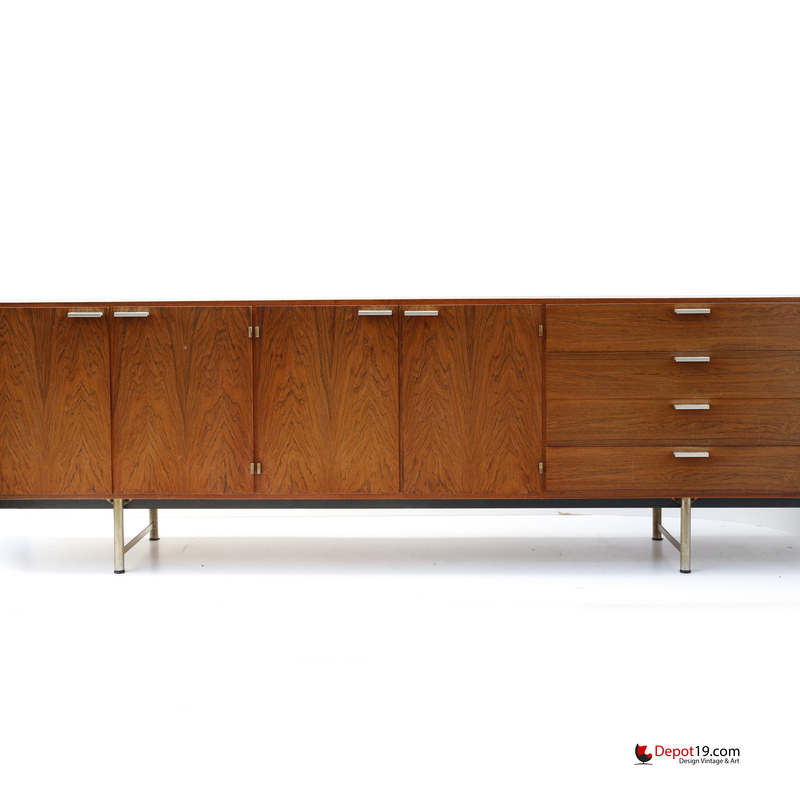 Rosewood cabinet, credenza on a chrome base by Cees Braakman for Pastoe. 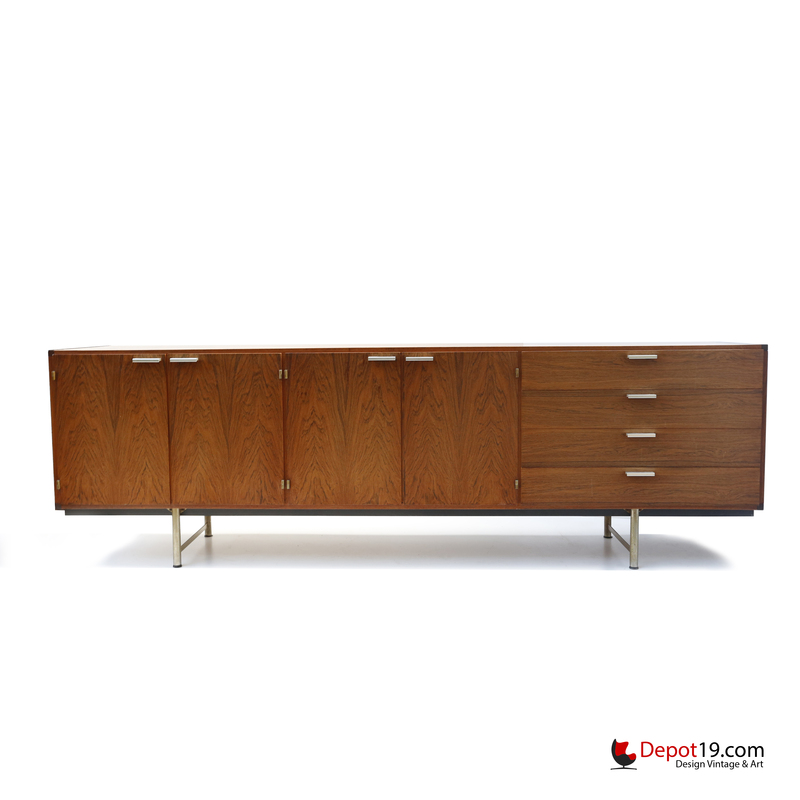 A cabinet from the CR series, designed in 1964. 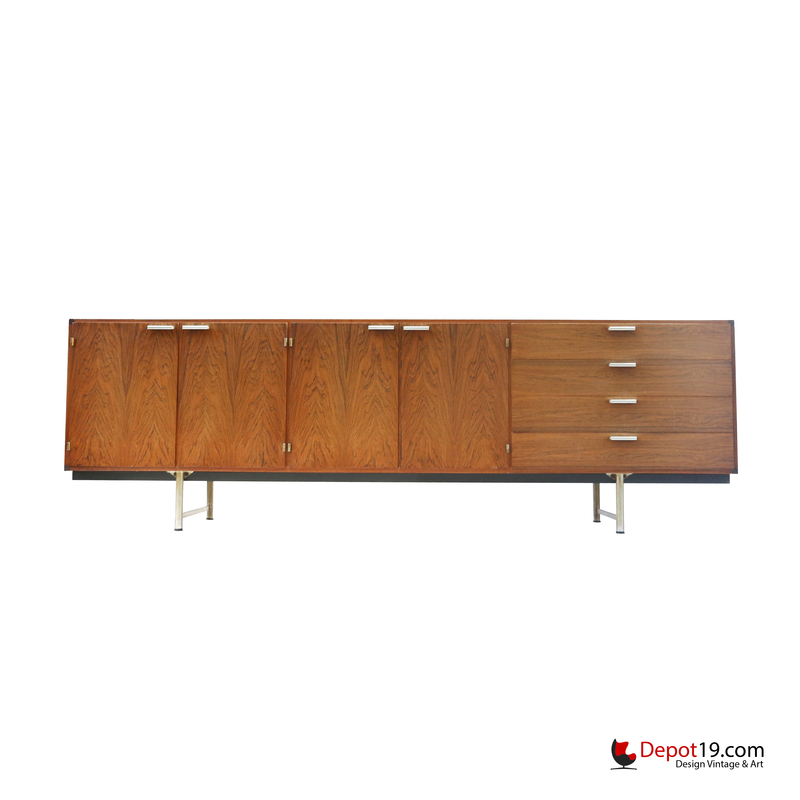 This type of cabinets made in rosewood are very rare. 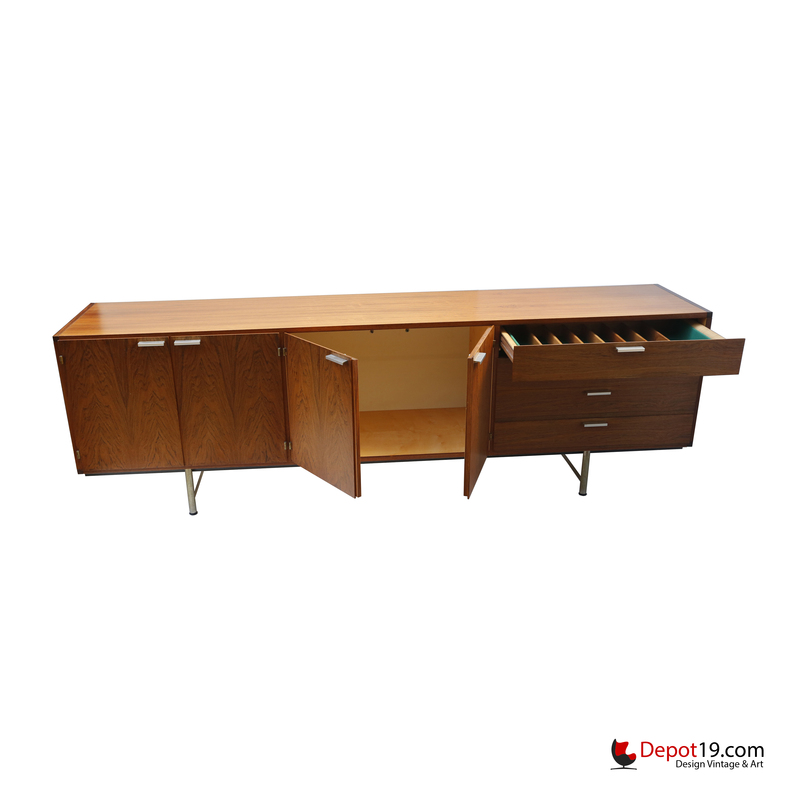 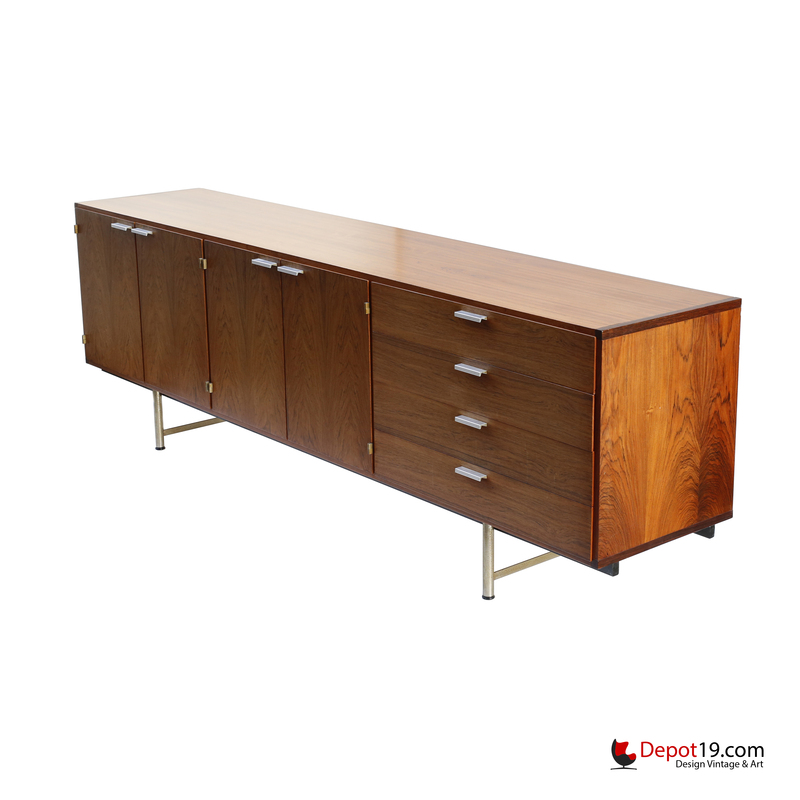 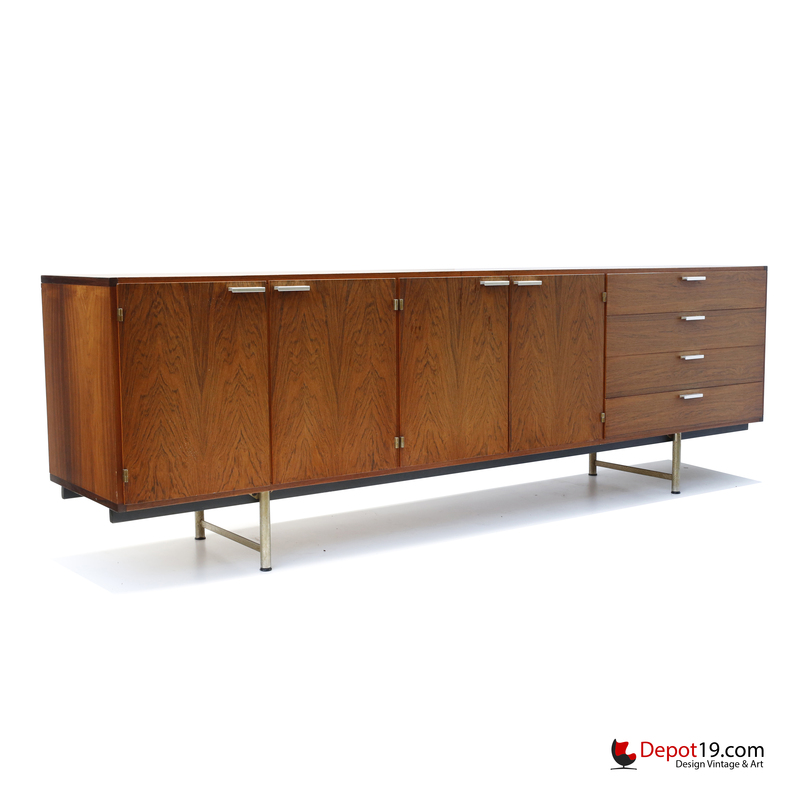 This credenza is in a good vintage condition.